On May 2, 2018, President Isiaah Crawford, members of the campus community, and friends of the university gathered for a special Asian Studies Celebration to announce the creation of The Suzanne Wilson Barnett Chair of Contemporary China Studies. The new endowed faculty position is named for Professor Emerita of History Suzanne Wilson Barnett. Barnett, who taught at Puget Sound from 1973 to 2007, was a central figure in the launch of the Asian Studies Program more than 40 years ago. A Harvard University graduate, exceptional teacher, and respected scholar, she shared her enthusiasm for Chinese history and for disciplined, effective writing with hundreds of students throughout her distinguished career at Puget Sound. Read Suzanne Wilson Barnett's remarks. The Suzanne Wilson Barnett Chair of Contemporary China Studies has been established through a gift from The Trimble Foundation. 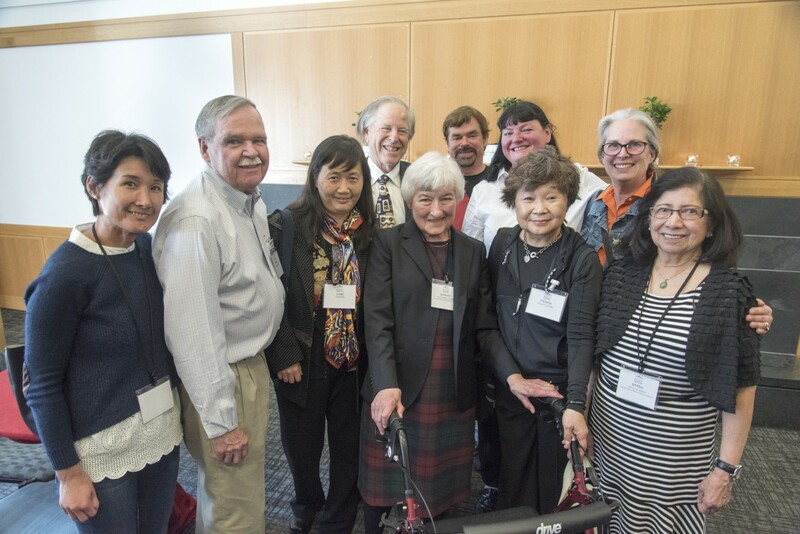 The Trimble Foundation and Trimble family, which have long-standing personal connections to China, have made numerous gifts to Puget Sound, supporting student scholarships, faculty exchanges, visiting scholars, and capital projects critical to the college’s educational mission.